Car hire is not essential as everything can be found within the town which offers an extensive selection of bars, restaurants, chemists, car hire, souvenir shops, food shops and also off-licences. 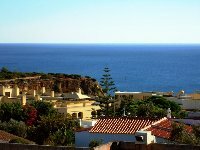 Carvoeiro is located West of Faro Intl Airport which is only a 40 minute drive and 15 minute drive from the Algarve Shopping centre. Great for holidaymakers of all ages, families, couples & golfers. Offering an abundance of activities and entertainment a romantic getaway for couples & 3 main golf courses for golfers to choose from! Please contact the owner for Airport transfers and very cheap car hire. Master bedroom - Tastefully decorated for a relaxing atmosphere with king sized bed, wardrobes, bed side tables, safe, storage, all the essentials & a hair dryer with an iPod docking station to charge & listen to your music from your iPod/iPhone device. Bathroom with shower cubicle, toilet, sink with underneath storage and mirror. 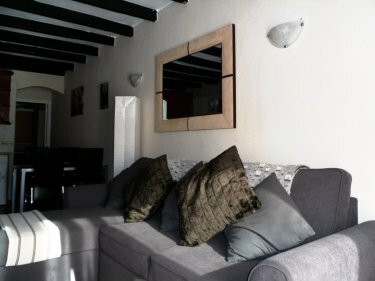 Fully equipped spacious kitchen with cooker and fan, 4 hobs, fridge freezer, washing machine, microwave, sink, cupboard space and all cutlery, crockery and essential equipment included. Ironing board and iron also provided. Additional utilities include: clothes dryer, pegs, iron and ironing board, sun umbrella, rain umbrella, beach bag and plenty of beach towels. Spacious lounge tastefully decorated which includes satellite television, wireless internet access TV and also a DVD player. Brand new corner-settee-sofa bed which pulls out & can sleep two people. 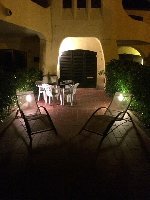 Private terrace and parking area located just outside the French doors which includes 2x sunloungers and also 4 chairs and a table. The apartment is south facing which receives all day sun. There is also ample off-street parking if need be. Plenty of towels and linen provided. Maid service on arrival and departure (or once weekly if staying for longer than one week). Extra maid service is available anytime at extra cost. Beach towels are also provided. You will need car access to several of these but are all sign posted with a 'Brown Border' on the road signs. it is also advisable to stay clear from the edges of the cliffs on the beach. Health and Safety: Annual Gas Safety Inspections, Smoke Alarm, Carbon Monoxide detector, Fire Blanket. As the property is located on the ground floor it is accessible for anyone with mobility problems as there are no stairs to climb. The patio is furnished with a table & four chairs which seats 4, great for al-fresco dining at any time day or night or for those lazy days! 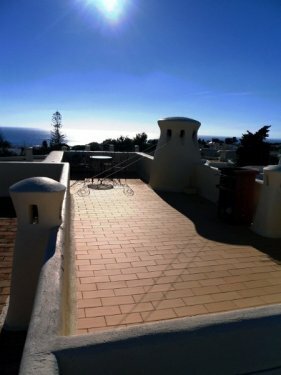 There is also a shared roof-top-terrace which can be accessed from the stair case at the back of the property and can be used to sunbathe, eat or drink or just sit back, relax and view the panoramic scenery of the golden beaches, bright blue sea, cliff tops and the view of Carvoeiro. If you would like to treat yourself to a bit of pampering you can either visit a very popular and recommended massage beauty therapist in her salon or she can come to the apartment at your request. A List of treatments will be available for you to view which are displayed in the apartment. Not in the mood to cook, but want to spend a night in? Then we have our very own personal chef that can come to the apartment to make you any cuisine from around the world! Full details will also be available in the apartment should you so wish take this service. The Algarve is renowned for its lovely gorgeous golden beaches and bright blue sea. There are several beaches in Carvoeiro with the main beach being 10 minutes walking distance from the property which also offers a beach bar and many snack bars. 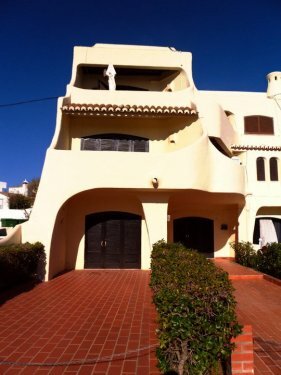 Carvoeiro offers 3 popular golf courses all within close proximity of each other. There are two 18-hole golf courses at the pestana estate (Gramacho & Vale de Pinta) and a 9-hole course (Vale de Milho) all located in Carvoeiro. Also several other courses which are 20-30 minutes drive from Carvoeiro. 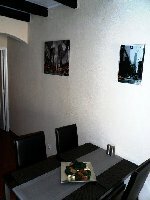 This apartment operates a non smoking policy inside, however, you may do so outside & distinguish cigarettes appropriately. Please note, these prices are based on Pounds Sterling (�) per week. It is also possible to pay in Euros as well or any other currency. Please contact the owner for further details, or check out 'Owners Website' for further information and prices in Euros. 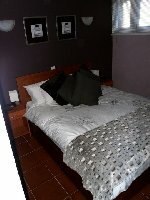 These rates are based on 2x people sharing in the main bedroom. 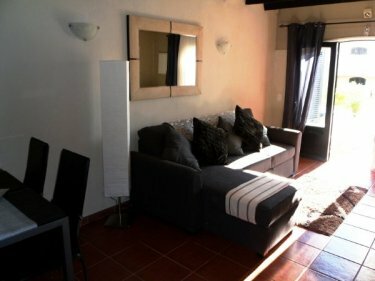 An additional �25 per week for an additional person staying on the pull out-sofa-bed would be required. The sofa bed sleeps up to 2, with the property sleeping a maximum of 4. Check-in should be no earlier than 2pm with departure time being no later than 10am during the summer months. If this does not fall within your flight times please contact owner for arrangements which may be made. A �150 deposit will be required immediately after requesting your holiday dates for any damage or breakages which may occur. The deposit will be refunded within a week after full inspection of any breakages and/or any minor/major damages to any furniture, equipment or to the actual property itself. It is also possible to pay for additional days.